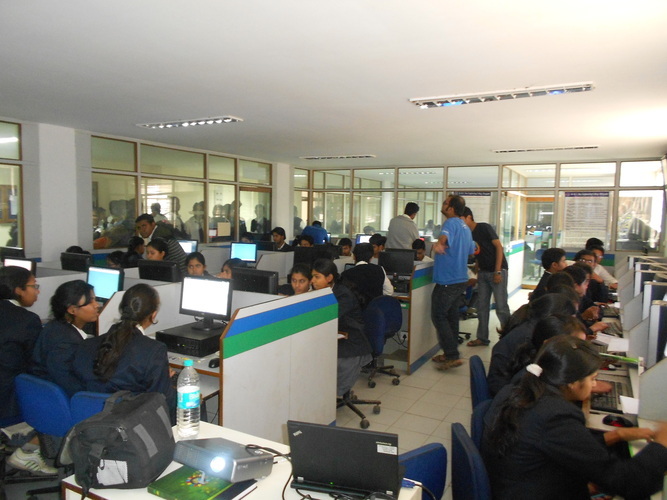 During 5th and 6th February, dgplug arranged workshops related to Fedora and Python in Dr. B. C. Roy Engineering College. More than 120 students attended the workshops in two days, we never managed to fit them all in the lab so we had to split them up into two different batches. Day one we started with a generic talk about programming and about Fedora. Around 11:40 am we started moving the students into the lab. 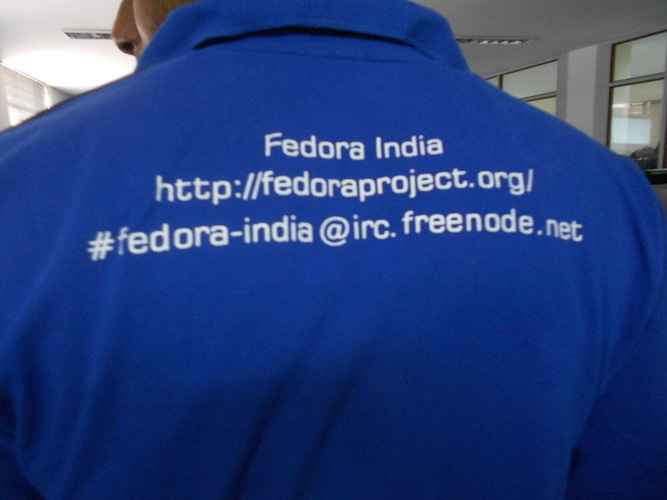 At first we discussed more on our ideas and benefits of contributing to free software projects, from there we started demoing Fedora and available tools. I followed my normal flow of introducing Fedora and later Python. 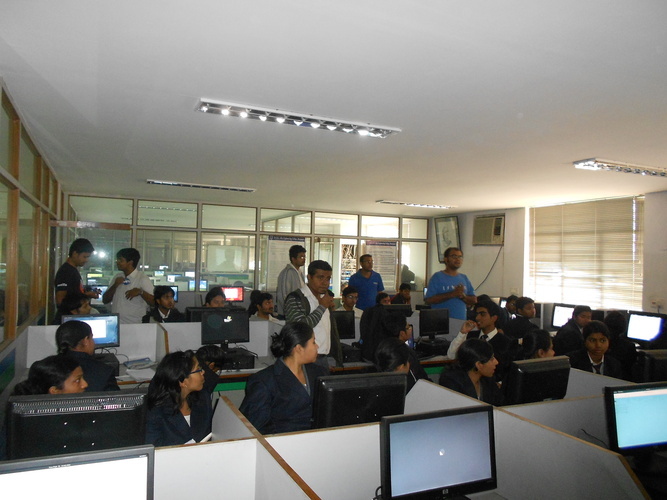 As many of them never used Linux before, students were excited and few were even new to programming in general. We took a lunch break and started with the second batch in the next half. We had around 12 students attending the hacknight. The idea was to have a working system which will allow trusted remote systems to submit C programs to a central server and the few build workers will keep monitoring the job queue, they will compile the code and execute it and return the result or any errors back to the users to the remote systems. In the college lab there were many Windows machines which they use for first year students to teach C using Turbo C IDE. As the client code students wrote were using default python modules, it was easy to have those Windows computers as target audience. We started after dinner around 11 pm, after I explained the whole idea to them we divided the students into two groups, one group was writing the client side code on Windows systems and the second group was writing the server side build workers. As Sayan was the senior most in between them he started writing the Django server which will listen to the clients, create build jobs and return results. I slept for next few hours as I had to wake up early next day for the workshops, but students stayed up and they kept working on the problem. Around 4 am they woke me up and by 4:35 am they produced a fully working code as an initial solution to the problem. As there were no network in the hostel I carried my wifi router and we were using just the local network. Sayan’s laptop worked as the primary server. I hope they will put up code in few days with few code cleanups. The reason we wanted to organize this hacknight was to show the first year students that they can do better project work than most of the final year students in the college and that is also in one night their code will do more work than final year projects (students generally do hotel reservation or flight/railway reservation system as final year project). Day two started at 10 am. 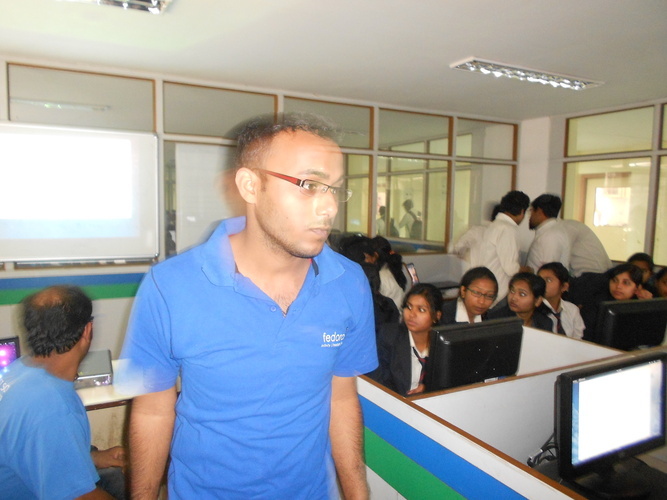 We used different problems in both the batches which made them to learn more about Fedora and Linux in general. We spent time in reading the amazing documents Python community wrote. The students were not used to the idea of reference material in college labs. In both the workshops (in NIT Durgapur and in Dr. B. C. Roy Engineering College) this time I gave more time in reading existing documentation. Many students stay aways from programming in college as they never get access to the quality material like Python documentation. All photos are from Chandan Kumar.